Versatility? ARTO is thy name. One of the many cool things about working with ARTO is the diversity of products we make. We make a wide variety of colors and textures in both concrete and ceramic for just about any application. This beautiful house in the Hollywood Hills is a great example. 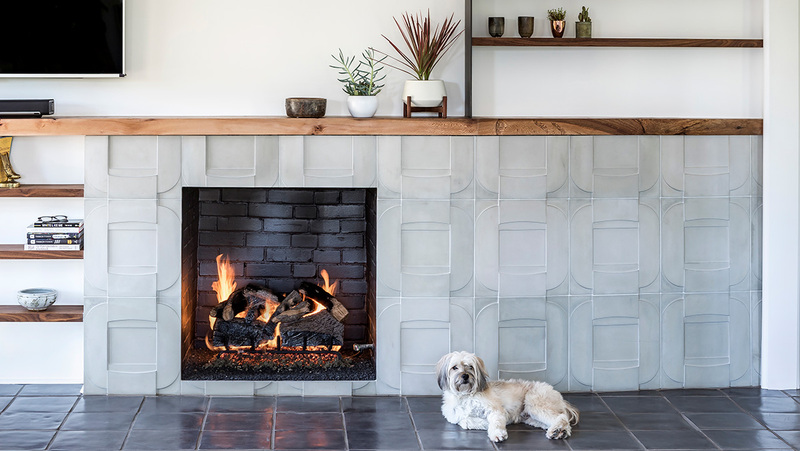 The fireplace above features concrete 18×18 Buckle tiles in Early Gray while the backsplash below is highlighted by 6×6 Compton tiles in Natural Gray. 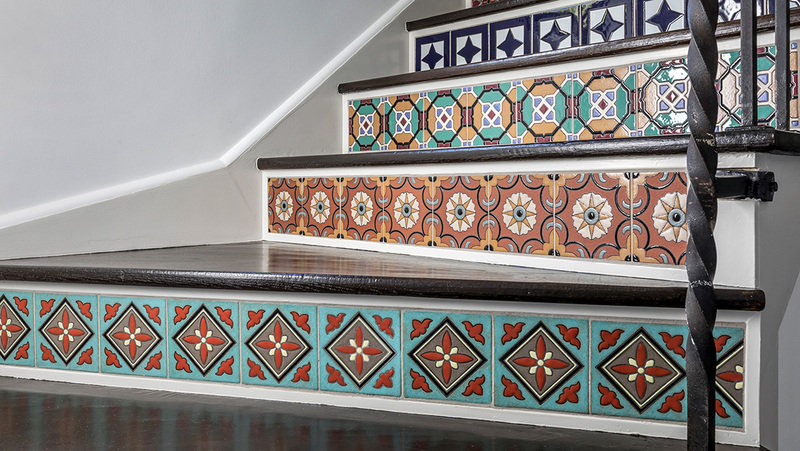 Stair risers feature ceramic deco tiles handpainted in the traditional Cuerda Seca style, which can also be customized with any of our glaze colors. 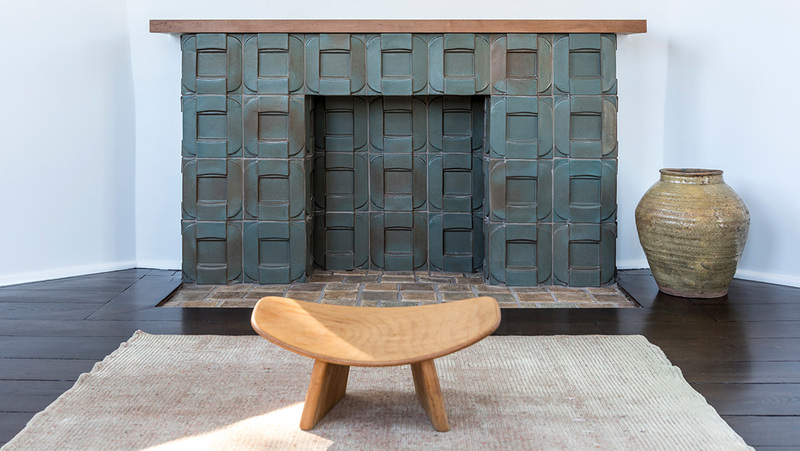 Another fireplace features 6×6 Buckle tiles but this time made in ceramic with a high fired Elder Green glaze that shows hints of the red bisque color. 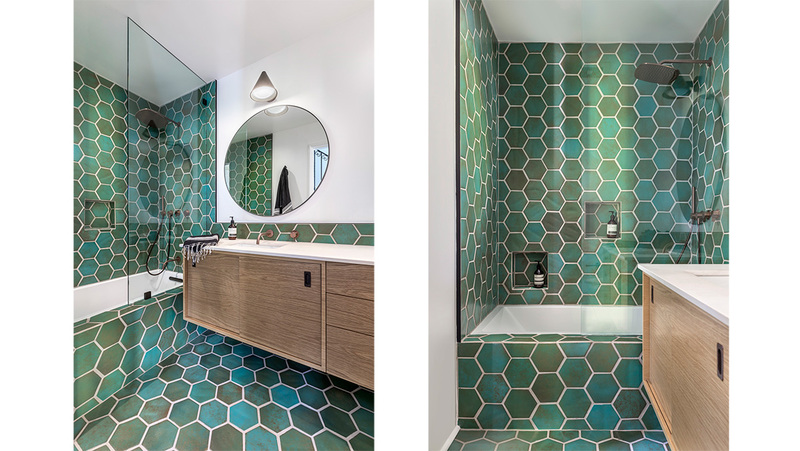 Hexagons in a shower are vibrant in Copper, another high fired glaze with distinctive color variation. 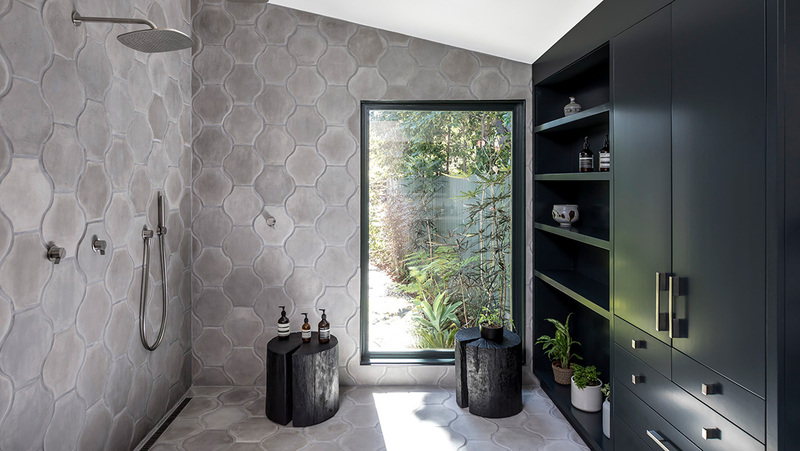 The master bathroom returns to concrete with Super Artillo Pata Grande tiles in Natural Gray. 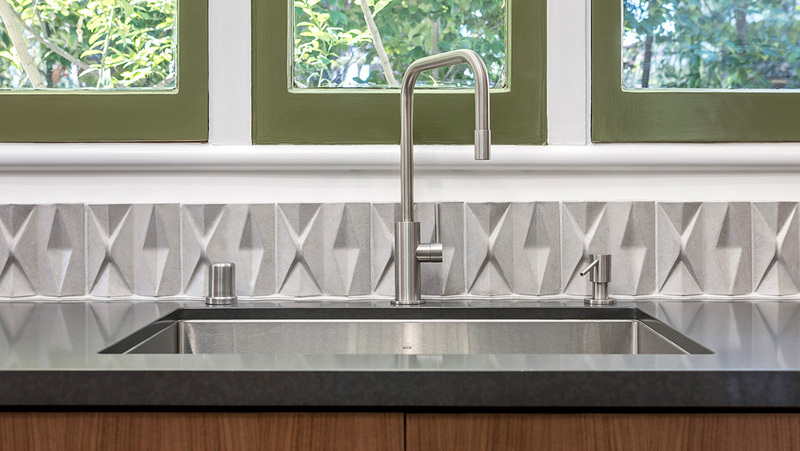 These tiles showcase the natural variation of concrete that will be accentuated as the tiles patina over time.